In 1991 archeological excavations unearthed artifacts establishing Snake Warrior's Island as the site of the home of Chief Chitto Tustenugee, or "Snake Warrior," and his tribe, who inhabited the area in the early 1800s. In December 1991, upon learning of its likely sale to residential developers, The Trust for Public Land acted quickly to negotiate an option to purchase the property and later transfered ownership to the state. 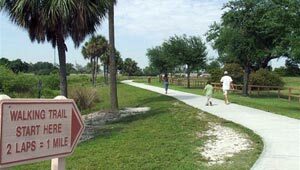 In 2004, Broward County opened Snake Warrior's Island as a natural area and visitors can tour the sensitive wetlands via a walkway and fish in the lake as the Seminoles did hundreds of years ago.